What a great layout. The colors look so nice together! She is just too cute...little and big!! 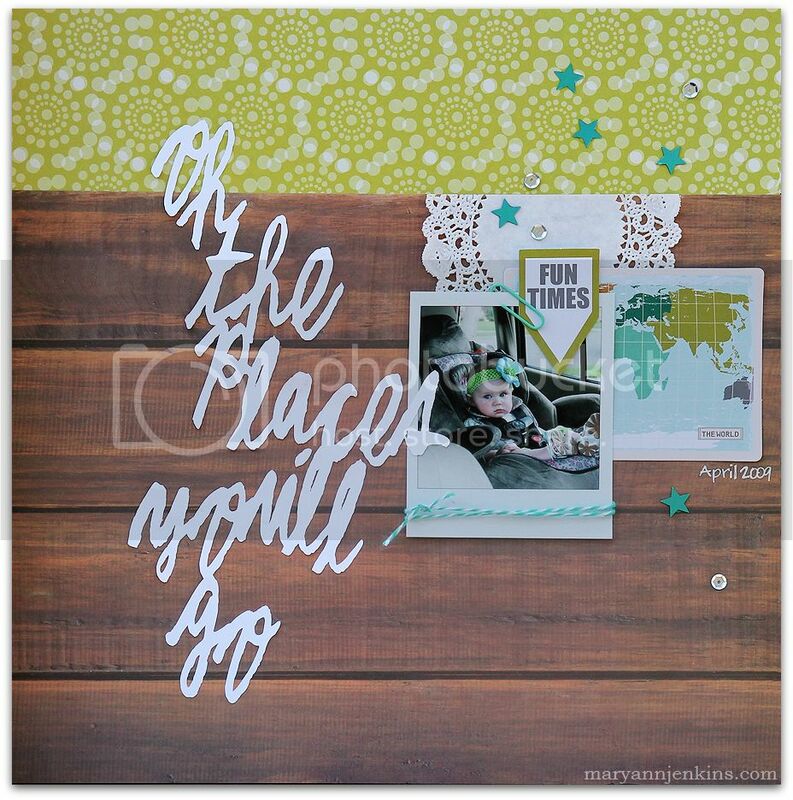 :) Love the wood grain background with the large die cut title, Mary Ann!